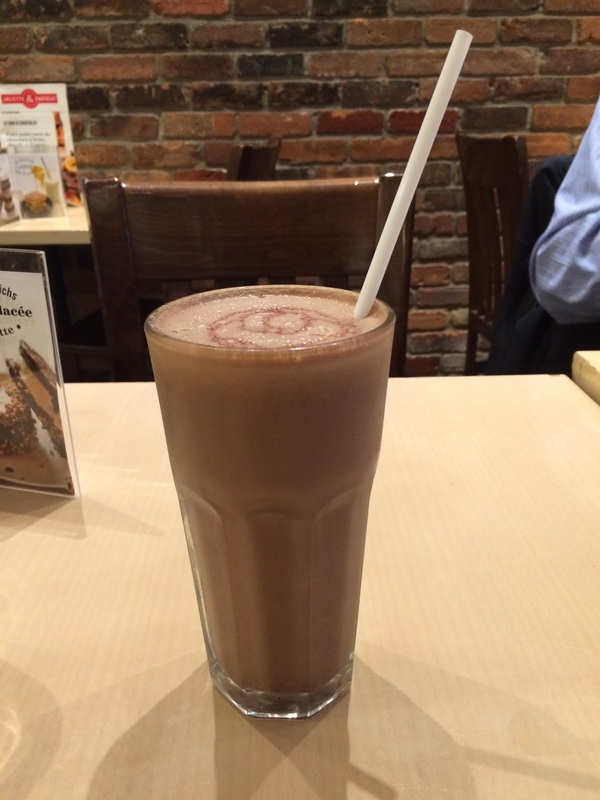 When we're in Montreal, it's our tradition to go to Juliette et Chocolat and have some chocolate. 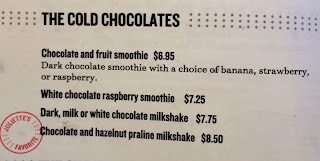 I ordered a "Chocolate And Fruit Smoothie" this time. 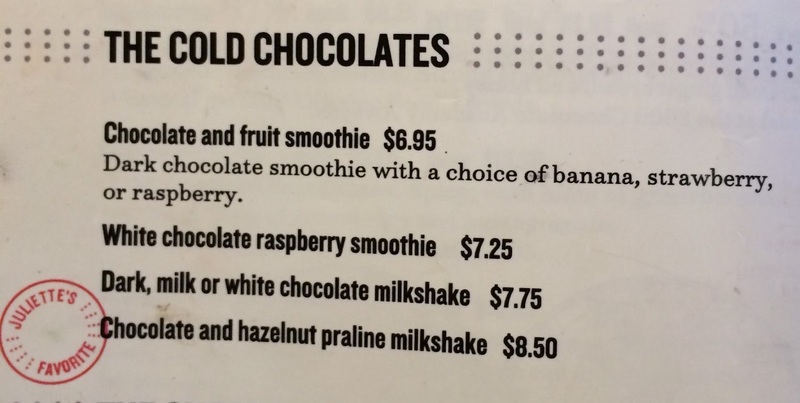 This is listed under "The Cold Chocolates" and it's a dark chocolate smoothie with a choice of banana, strawberry or raspberry, and I chose raspberry. 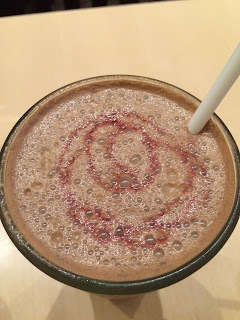 When it's brought, the chocolate looked like a mix of dark and milk chocolate, and on the top, I saw raspberry color swirl. Bitterness of the dark chocolate and fruity and sour flavor of raspberry went really good, but it's quite rich and I got tired of the flavor after drinking 2/3.